Struggle, for an artist, serves as a furnace that gives shape, depth and volume to the creative genius. In the case of Rajendra Prasanna, who started learning Indian classical music of Banaras Gharana at the age of four under the aegis of his father Pandit Raghunath Prasanna, it also added simplicity to his disposition. In Chandigarh to perform at the 43rd edition of the Pracheen Kala Kendra Nritya and Sangeet Sammelan on Saturday, Prasanna waxes eloquent about Indian classical music and shares chronicles of his first-hand experiences with the love of his life — the flute. "I started performing and earning at the age of six. Those days my father's financial status was not very good. So, I started performing all that I learnt from my father at weddings and parties. As I continued to hone my talent with riyaaz, I kept getting various avenues to perform. The most significant of those was The Children Music Confluence in 1968 at Kolkata, where they asked me to perform on the second day of the event," says Prasanna. "And that was the first time I tasted chocolate!" he quips. Prasanna has been teaching music at the National School of Drama for over thirty-three years now and has international acclaim to his credit. "In 2002, I performed at the Royal Albert Hall with Pandit Ravi Shankar to commemorate the first death anniversary of George Harrison and I was awarded a Grammy certificate for the same in 2004," he shares. He makes his contempt for fusion music rather evident, as also his disdain over the treatment Indian classical music receives in the country from where it originates, "I think Indians understand classical music, but they do not respect it as much as the audience abroad does." Rajendra Prasanna has recently released his album, Unique Jugalbandi, on YouTube, "I have played shehnai and flute simultaneously in this album; it runs on the format of a double role. This album was recorded in 1991 for Doordarshan," he says. Here's a breath of fresh air that might leave you baffled. Dressed in kurtas and pyjamas, Arshad Ali Khan and Amjad Ali Khan are the two young vocalists who are trained in Kirana Gharana by Mashkur Ali Khan and Mubarak Ali Khan. Let not their young looks deceive you at all, they have experience and immense calibre. Arshad, 28, studied music at ITCSRM, Kolkata, and is now teaching Hindustani classical music there, "This is the third time that I am in Chandigarh for a performance. I have showcased my art across India as well as abroad, including Holland, Paris, Italy and Morocco. However, I was much honoured to perform at the Sawai Gandharva Music Festival, where the legendary Bhim Sen Joshi had invited me. I have also released several albums, including, Sparkling Kirana, Murchhana, Eternity and Multani," he says. Amjad Ali Khan, 32, who is a senior teacher at the Indian school of music, has also performed at the opening ceremony of the London Olympics. He has taken his art to several countries, including Australia, Germany and Switzerland. "I feel that the Indian classical music is now picking up because of the increasing number of music reality shows on television. This has really kindled the interest of youngsters in classical music because Indian classical music provided the strongest base if one wants to take up music seriously," he says. To the T — this is how he prefers everything, be it music, acting, writing or even a conversation. "Everything should be done to perfection," says Punjabi singer-actor Jasbir Jassi, who sports a colourful tee and denims as well as a cool attitude to go with it. Jassi is visiting Chandigarh after a long time as he is busy taking acting classes in Delhi. Amidst all this, he pulls out time to promote the five digital tracks that he has made on Bhagat Singh. "I had made the tracks for Doordarshan; then I thought since I had worked so much on them, I might as well go ahead and promote them," shares the singer who has made five different tracks dedicated to Bhagat Singh, Sukhdev and Rajguru. Jassi has been reading a lot on Bhagat Singh and watching documentaries on him, "I wanted to know everything about Bhagat Singh; it simply inspires me more." One of the tracks, Rang De Basanti has a house feel to it; two of the tracks are completely in Punjabi, while three are in Punjabi and Hindi. "We remember him till date and get inspired with his will-power, so I wanted to create music that youngsters could relate to." The tracks are released digitally, a medium that is becoming popular with the artists. "Of course, it saves you from the time one takes to cut an album and it is viral. A singer gets to know whether his or her work is being liked. I think it is a good thing to release one or two tracks digitally as soon as they are made," says Jassi. He pauses to clear, "You can't do a shoddy job of it. It has to be perfect." Perfection is the key word in his dictionary, a word that took him all the way to Delhi and take up acting classes. "I had done a movie before; I thought it was good to train in a field that I think I can be good in. I will only be taking up movie projects after the completion of my training in a month or two." 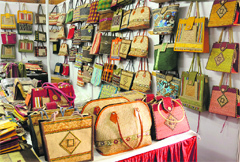 The Trade Expo, organised by the North Eastern Handicrafts and Handlooms Development Corporation Limited (A Government of India Enterprise) is to promote the sale of handicrafts and handloom products of the North Eastern region—Assam, Manipur, Meghalaya, Tripura, Nagaland, Mizoram, Arunachal Pradesh and Sikkim. The rich tapestry of North-Eastern India has interwoven in its fabric, the traditions of many people of different ethnic origin. Holi is around the corner and we are all set for the splash of colour. But the festival is incomplete without good food. Keeping the spirit on, The Gaur, Chandigarh brings forth a biryani food festival, The Timeless Desire, to tickle your taste-buds with some lip-smacking biryani with aromatic ingredients and exotic spices. “We want to enhance the festive merriment by giving a perfect gourmet experience. Talking about authentic cuisine, biryani is a popular dish," says Harjeet Singh, manager operations, Gaur. Biryani, a rice-based dish, is known for its smoky flavours. For a food connoisseur, the delicious meal is the ultimate desire. So what does The Timeless Desire offer in a la carte? There is a zesty variety of scrumptious biryanis which is prepared as per the Hyderabadi speciality and is modified and given a twist. “We have reinvented the dish to give food lovers a mouth-watering experience. Talk about gosht shehnai biryani, we have used sheekh kebabs instead of mutton to make it better," says Ajay Singh, chef, The Gaur. Vegetarians can savour kathal ki biryani which is aromatic basmati rice cooked with jackfruit. The rich aroma comes from spices such as green and black cardamom, cloves, cinnamon, bay leaves and saffron. Kale moti ki biryani with black urad daal and gucchi biryani with Kashmiri mushroom is a delectable pleasure. Biryani is available across the length and breadth of India in many avatars. No meal is complete without the spicy and flavoured dish and when the options given are robust, you are definitely on a gastronomic trail. Exploring the non-vegetarian menu, if you are a prawn lover, relish the samudri noor biryani with crushed coconut adding to its essence. Talking of non-vegetarian and how can we leave out chicken? Dig in some steamed chicken dumplings cooked in rice as in murg potli biryani. Further, the succulent rice is served with salan, dahi chutney and roomali roti which complete the gastronomic experience. “The salan we serve is made of til and peanut paste instead of the regular onion tomato gravy," says Ajay. Keeping the fervour, splurge and paint the town red! Coffee Bean & Tea Leaf celebrates 50 years of heritage and passion of catering to its patrons worldwide. To celebrate the landmark, Coffee Bean & Tea Leaf is introducing a new food menu that includes chilly cheese baguette, pizza curl, banofee cake, silky chocolate mousse to name a few. When we were kids, a chanaa or chickpea was more a projectile to play with than a food to actually consume! Oddly shaped like miniature cannonballs, they seemed perfectly suited to flick at our siblings across the table. But now we’re older and presumably wiser, we know that chanaa are packed with fiber, protein and many vital minerals. Even better, they fill you up — unlike a lot of ‘diet’ foods that leave you mad raving hungry a half hour later! Chanaa have been one of the culinary staples of India for centuries, so it’s no wonder that most of us cook it the spicy, Indian way. I almost never cook chanaa for just one meal. Invariably, there are a few fists full added to the cooker for use in a secondary recipe. The second batch makes this perfect, healthy salad, light, refreshing and full of healthy goodness. Dice the tomato and drain the chickpeas well. Add the onion, coriander leaves and oil, then keep chilled until needed. Add if using, some green chillies and grated lemon zest. Whisk together the yogurt, lemon juice, salt, pepper, mint and honey. 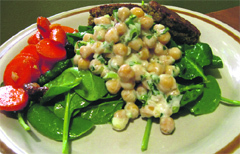 Before serving, pour the dressing over the salad and serve. With winter fading away into the summer sun, it's time we gear up for the heat that will reign over the country for the next six months. If you are much baffled about wearing a stylish hairstyle this summer, rather than blowing megabucks on haircuts here's a style guide that you can trust. If you like experimenting with hairstyles, here's what you can do-make a bun! The messy buns are invariably in vogue, but what if you want to pull a fancy fold on them? Just make judicious use of YouTube and search for different hairstyles. All you need is a set of combs, hair bands, rubber bands and a few bobby pins! To try the messy bun, make a high pony and back-comb your hair. Then take out a few sections of hair and roll each section in an outward direction, and secure it with bobby pins. Also, if you want to try a suave bun, which will go well with your summer dress, try the Audrey bun to get the proper Breakfast at Tiffany's look. Meanwhile, the chignon buns go a long way to perfect your evening look. Just get the magic fingers geared up for a fashionable braid. "Leaving your hair open every day can make them look boring. So I like making a side-braid either in a simple pattern or a fish-tail braid," says Sakshi Singh, law student at the Panjab University. You can easily learn how to make a Dutch braid or French braid from various hair fashion sites available on the Internet. Also, braids can increase the style quotient of a bun, if you take the front portions of your hair, weave them in a Dutch braid pattern and tie them up in a neat bun. If you want to tamper with their texture, then keep it subtle. To get straight hair, which reflect volume and lustre, take half cup of milk, preferably boiled and then cooled. Mix it with half a cup of water. Store it in a spray bottle and sprinkle over the hair. Allow it to stand for half-an-hour before applying the shampoo and you land up with straight as well as smooth hair. However, if you fancy drama, then curl your hair without using curling rods or machines. Just take small sections of wet hair (apply some moose, if you hair are unmanageable) and keep rolling each section to make small circular buns, while securing them with bobby pins. Let the buns dry overnight and open them the next morning. Run your fingers through the curls to add volume to the hair. "If you want to keep chemicals at bay, then try Moroccan oil, which repairs the damaged hair and is priced at Rs 2,500. Also, you can use Mithic Oil by L'Oreal or Argon oil or even tea-tree oil for that matter," says, Imtiyaz Ali, the owner of Ali's Midaas, Chandigarh. If you really want to keep it stylish, there is nothing more sorted than a double-string hair band or even a hippy head band for that matter. Moreover, if you are arty, you can learn how to make artificial flowers from YouTube. For party-wear, use colourful headgears, especially the ones with peacock feathers. Veer Kaul, the owner of Headmasters, Chandigarh, says, "The clip-on hair extensions that are available in different colours are much in trend these days. Also, the fashion wigs are catching up rather well with the city folks. While one clip-on hair extension starts at Rs 2,500, the wigs range between Rs 12,000 to 25,000. Meanwhile, for parties and weddings, we use natural flowers to accentuate the look." Of the many people that assist celebrities in staying longer under the limelight, a publicist is mandatory — someone who can push your case, someone who can fix interviews and someone who can ensure a long innings under the sun. Sultry beauty Nethra Raghuraman, the supermodel and actress conveniently chooses not to go with one — this is seriously not her cup of tea! Seen on Zoom Fashion Drill — Model Of The Honour as one of the mentors along with Alison Kanuga and Subi Samuel, Nethra reinvents herself in different roles, without a publicist though! As a mentor for the new show on Zoom, Nethra does her duty to guide and teach the participants, but the lanky beauty cannot help seeing the difference between then and now. “Zoom has given the contestants a chance, which is good. But definitely, I didn’t have it that easy,” says the model who came into modelling by chance. “The participants on the show know what they are in for unlike the time when I entered modelling without any know-how. Once I was in, I wanted to come out. These girls definitely have more exposure,” she says. This is not for the first time that Nethra is seen on television, she was in Fear Factor and an anchor for two other travel shows. In case you didn’t see her much…blame in on her, she does not have a publicist! On the show, only one male and one female contestant will stand a chance to win modelling contracts worth Rs 5 lakh each with Toabh, a wardrobe from Pepe Jeans, London, and bikes from Yamaha. These exceptionally promising models will also be a part of the special feature in Elle magazine. It's an amazing feeling as my performances in all three films—Taalash, Kahaani and Gangs of Wasseypur (all 2012) —have been acknowledged. It's such a great honour to have received the Special Jury Award. Bollywood too seems to be finally acknowledging talent with several roles coming my way. In the last three years, I have been getting some good performance-oriented roles. Now, even some lead roles, like the one in Aatma, are coming my way. So time and hard work have started paying off. It's not that I am only interested in commercial films. I'll do whatever good roles are offered to me. This (success) won't make me greedy; and I won't narrow my choices only to big films. If I feel I should do a film, I'll do it, irrespective of whether it's big or small. Bipasha is a wonderful actress. She is so dedicated that she surrenders herself totally, and gets totally immersed in the character that she essays. Moreover, she is a wonderful human being, no starry airs, and very simple and understanding. It was a memorable experience working with Bipasha. She is the soul of Aatma. I've wanted to work with Buddadeb Dasgupta from the time I saw his film Tahader Katha. It was visually stunning. And also, this brilliant director returns to Hindi cinema after his Andhi Gali. So I had no choice but to say yes when he offered me Anwar Ka Ajab Kissa. I waited for 11 years to get good work. Now that I am finally getting the kind of work that I wanted, I don't want to mess up my career by burning myself out. I have been working non-stop and I really need to slow down. I've to take a pause to recharge my batteries. So after I complete Buddhadeb Dasgupta film which starts in Kolkata from March 22 and goes on at a stretch for 40 days, I'll be taking time off for my much-needed break. R&B star Rihanna's request for a permanent restraining order against Steveland Barrow, a man who broke into a house thinking it was the singer's, has been granted by the court. According to the ruling, Barrow must keep his distance at minimum 100 yards from the 24-year-old singer for three years. Rihanna's lawyer Miles Cooley told the court that Barrow caused Rihanna "substantial emotional distress and concern for her personal safety." Barrow was arrested in February for breaking into a mansion near Rihanna's in Los Angeles. The superstar's neighbours saw the man snooping around the house and confronted him. When the neighbours realised that he was an intruder, they called the police and kept him there until the officers arrived. Actress Jessica Alba has taken a dig at Gwyneth Paltrow saying her book is better than the Iron Man star, as she grew up in a poor family. Alba said her new book The Honest Life is more grounded than Paltrow's because she "didn't grow up with a bunch of money", reported a publication. The Fantastic Four actress pointed out that her lifestyle tips will be more relatable. Siddharth Malhotra is well-settled in a pad in Bandra and has got a new companion, a handsome Labrador who has taken an instant liking to his master. He is yet to be christened. Siddharth previously had a puppy named Fridi. He takes his new friend for a walk several times a week. Chennai Express and Once Upon a Time in Mumbaai 2 will clash at the BO on Eid. So Himmatwala, essentially a single-screen film, has been sold to single screens by UTV on the condition that they will devote four shows later to Chennai Express. Ekta Kapoor has countered this simply with a longer line-up. Jacqueline Fernandez is way younger and prettier than Sajid Khan. If rumours are to be believed, she is feeling stifled in the relationship because of Sajid Khan's controlling nature. He is possessive of her and even dictates her professional life. She wants to break off in a cordial manner and focus on her career. She is in no state of mind to marry at the moment. Priyanka Chopra is miffed that she and Sunny Leone shared space on the e-invite for an event to launch the item songs of Shootout at Wadala. Priyanka had a separate event for her song Babli Badmaash Hai, which is a hit. Sources close to the actress and the production house deny this. Katrina Kaif spent some part of her life in Japan and even knows some Japanese. She says she will be more than happy to be a part of Kabir Khan's next film if it is shot in Japan. Recently, a few YRF films and other films released in Japan, which is a new market and shooting locale for Indian films. Post Switzerland, Bollywood makers have taken to new and different locations and countries. Ajay Devgn actually fought with a tiger in the remake of Himmatwala. The shoot lasted three days. The scene also talks about saving tigers, which is a burning issue today. Sajid Khan says it is a superb sequence and the kids will love it. Himmatwala releases on March 29. A lot of stars, before this, have been known to do their own stunt scenes. Savdhaan India, Life OK’s popular docu-drama has launched its new season 100 days 100 fightbacks, which will showcase 100 inspiring cases of 100 real people. To host this particular season, Life OK has roped in Hiten Tejwani, who has been a part of several daily soaps before. He will anchor the new season with Mohnish Behl and Sushant Singh. Hiten has begun shooting for the show already and is really excited about it, “This is the first time that I’m hosting a crime reality show that showcases how ordinary people stood up for their rights while fighting against crime. I am glad to be a part of the show and I hope that people accept me in this new endeavour," he signs off. Recently, on the lavish sets of Saraswatichandra, two actors suffered from severe health issues. The reason behind the ill health was not due to the long shooting hours, but a massive heat stroke. Vinita Joshi, who plays the character of Kumari, could not bare the heat while shooting and collapsed on set. Another artist on the show, Shiney Desai, who essays the role of Kusum, was also unwell due to the heat. Nevertheless, the entire cast and crew were extremely supportive and served nimbu pani to both the ladies. “It was very hot, both Vinita and Shiney were uncomfortable with the heat but still continued to shoot,” says a source from the set. Well, Mumbai is getting hotter and we wish all our artists a healthy time! Pallvi Subhash, who has been missing from TV for a while will now will be seen in the new show, Mahabharat that will be telecast on Star Plus. Buzz is that she has been signed in to essay the role of Amba, the eldest daughter of the king of Kashi. To celebrate the completion of 100 episodes of Junoon Nafrat Aisi Toh Ishq Kaisa, Yash Patnaik, producer, organised a get-together at the sets of the show in Goreagaon on Wednesday. Here is one more pari from the world of Baal Veer, who has put down her papers. Yes, this SAB TV show will have to soon look for a replacement or introduce a new track, as Samiksha Bhatnagar aka Vijdhar Pari has called it quits. 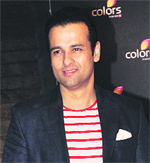 Rohit Roy is thrilled to have got the chance to play an important cameo in Zee's Hitler Didi. Now that his role is ending, he wishes it lasted longer. Your entry into Hitler Didi gave a boost to the show? Yes and it feels good to be part of a show that has an interesting storyline. Are you leaving the show now? Yes, the cameo is ending. I wish it had lasted longer. I enjoyed playing the military man. Did you do this show to remain in the limelight? People felt I was interested in films and didn't want to do television. And TV folks felt I was looking at films; I just want to do good work. What's happening on your TV production? We are planning; hopefully things should be clear in a while. I am considering a few ideas. I will host an award show. It is not an ideal year for money matters. You will remain busy at the work front. Health will remain normal. Cast aside preconceptions, which prevent you from growing professionally. You'll be surprisingly nice and this will attract the attention of an introvert person who will be interested in you. Increasing the depth of your knowledge will make you more confident. Don't be surprised when people who were once indifferent to your charms become thoroughly entranced. Teaming up with someone who has a lot of influence in the community will improve your financial prospects. Your honesty won’t be doubted by rumours that are coming around. Good opportunities will present themselves and you are well aware of serious offers. Ruled by number 6 and the planet Venus, you are energetic, cheerful, trustworthy, dynamic and a methodical person. Make an impression with your communication. This is a period with great gains in property business. Investments will fetch desired results. You have very strong willpower and dislike interference of others in your personal affairs. You are carefree and helpful; be patient and don't be oppressive. Those with strong Saturn won't compromise; they'll be particularly stubborn and this will lead to tensions. Loud arguments will solve nothing and will wear you down. If you really believe in yourself, don't let anyone force you to change your plans. Legal or property disputes will settle around the middle of the year. Fear nothing for this is a favourable time. Sheer pleasure and enjoyment is on the cards, as you set out to enjoy life to the fullest. Be secretive about your investments and about your future goals. Relations with your spouse will get strained due to your over involvement at work. Problems can arise at home, but avoid criticising your mate over small issues. You have the ability to achieve a lot; so go after the opportunities that come your way. You will possess a desire to earn quick money. Friends will come to your aid if needed. Those undertaking a small vacation with their beloved will have a highly memorable period. Take care of your action and words as authority figure will be less understanding if you do something deceitful. Lucky days: Friday and Sunday. Lucky numbers: 2, 10, 21, 22. Emraan Hashmi (March 24, 1979, Mumbai) made his movie debut in 2003 with the film Footpath, which did not do well. Along with her co-star Mallika Sherawat, Emraan shot to fame with Murder. He later appeared in films like Zeher, Aashiq Banaya Apne, Kalyug and Gangster. His number 6, which denotes Venus, will always keep him in romantic roles. Tarot message: Take time before making decisions. TAURUS: Clear your mind. Focus on business because that’s what will pay you dividends. Family members will be co-operative. Romance will lead to much turmoil and upheaval. Tarot message: New offers should be put on hold, as their outcome is uncertain. Lucky colour: White. satisfaction from new work assignments. overspend. Meeting arrangements can change at the last moment. A gathering of a relative will be an eventful affair. Tarot message: Do not get involved in spiteful communication. VIRGO: Do not bottle up emotions and become agitated. Plan some relaxation with loved ones. Influential people will like your style. Health issues should be treated right away. LIBRA: Your personal skills and style of working are likely to shine out and be noticed. Do not delay financial matters any further. You may receive a romantic proposition. Tarot message: Don’t be dismissive of advice from youngsters. SCORPIO: Lots of secrets and undercover scenarios can make for an interesting day. Stimulating and thought provoking ideas will be in abundance. Business matters will tick over smoothly. Tarot message: Take one step at a time to reach your goal. CAPRICORN: You are in an ideal job, keep up with your hardwork and enthusiasm. Health problems will show signs of improvement. Your spouse is likely to be erratic. Tarot message: There are times in a relationship when it is wiser to be silent. Lucky colour: Grey. AQUARIUS: The card The Page of Swords reveals that you are noted for your resilient attitude. Romance takes a turn for the better. Keep extra cash in hand to cope with additional expenses. Tarot message: Spend time meeting experienced people. PISCES: You need more clarity in financial matters. It is important that you get expert advice that will help you sort out a problem. Creative work is favoured over mundane routine jobs. Tarot message: Be diplomatic to grab the right opportunity.